Qualified for the England team, and is hoping to perform at the Europeans in 2016, Sophie's ultimate goal is to qualify for the World Championships. 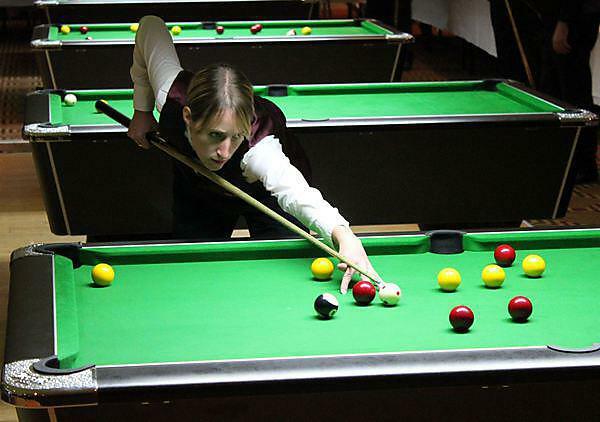 Sophie’s passion for pool led to her winning the British University Colleges and Sport (BUCS) - UPC Women’s Pool Championships 2014 and 2015 and she has qualified for England women’s team in 2015. Born in London and raised in Devon since she was four, Sophie began playing pool at the age of 14 and has not looked back. Twenty seven year old Sophie has represented Devon County for nine years and taken responsibility of captain for the past two seasons, inspiring her to take her sport to the next level. The Sporting Excellence Scholarship programme is allowing Sophie to follow her sporting dream, and the financial support will enable her to train regularly and receive specialist coaching. Balancing her study and sport hasn't been easy, but she is confident in prioritising one or the other depending on upcoming events, assessments and deadlines. The funding Sophie will receive will help her development in both in national and international competitions, and will enable her to focus on her studies by not having a part time job. Raising her sporting profile and gaining experience in her profession is another mission of Sophie’s, and through her Sporting Excellence Scholarship, the University will support her by creating student experience opportunities and sharing expertise. Through connections on the Sporting Excellence Scholarship programme, Sophie has been given the opportunity to gain support and experience with the local professional sports teams through Associate Lecturer and Chartered Sports Psychologist, Jon Rhodes, who supports the programme. Sophie hopes to continue her BUCS success with the Plymouth University Pool Society and aims to attend BUCS again in February 2016. And any words of advice for anyone who wishes to apply for the Sporting Excellence Scholarship programme?